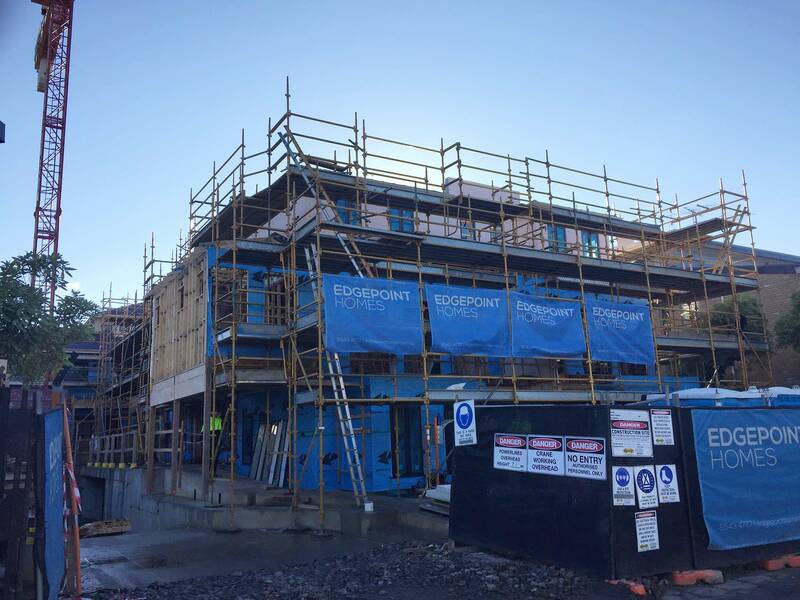 The frames and roofs are almost all complete with external cladding well underway on all townhouses. Electrical, plumbing and heating & cooling rough-in’s are complete in the rear building and well underway in the front building. Internal plaster expected to start shortly thereafter.